The Halloween costumes have been put away and the bonfire’s burnt out which means it can only be time for one thing – the countdown to Christmas! Miss A and J are particularly excited this year and are already asking how many days it is until Santa comes. 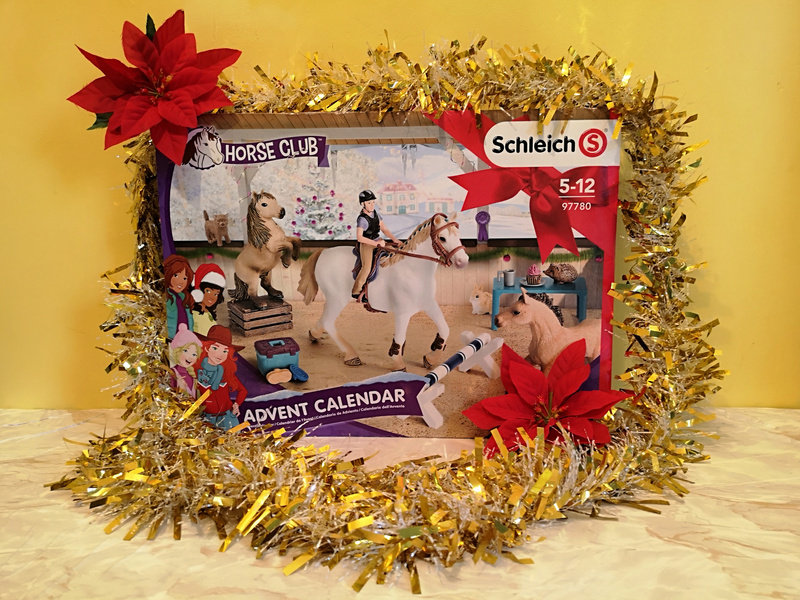 I am very excited about this Horse Club advent calendar as I know Miss A is going to love it! Each day you collect a horse or an accessory to create your own horse stables. It’s a great way to build up the anticipation and give them something they can keep and enjoy at the end. With Mr A in the house, we like to have a little touch of American around and he always gets his sister to bring cinnamon jelly beans with her when she visits! 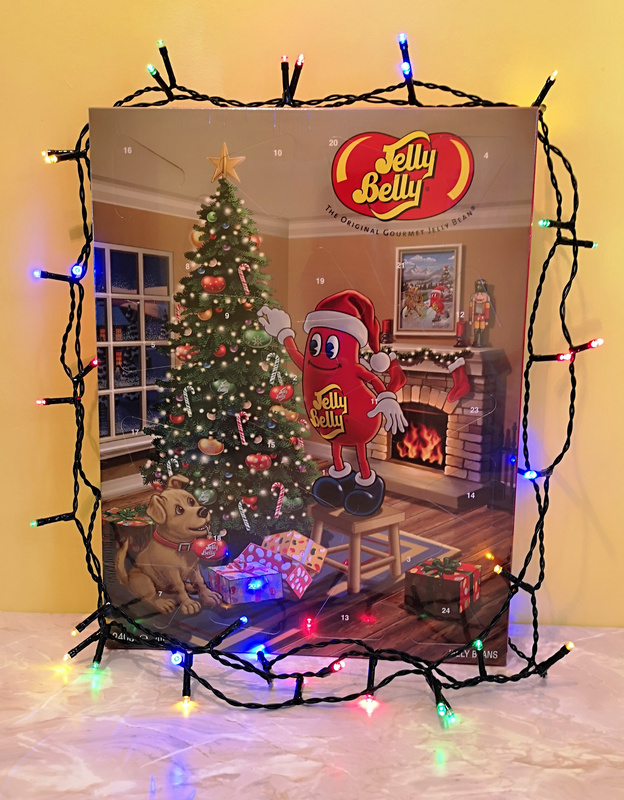 This Jelly Belly advent calendar is a great chocolate alternative for kids and adults alike. I wanted to do some random acts of kindness with the kids this year so when I saw this advent calendar on instagram, it seemed perfect. It is beautifully handmade in honour of baby Jude who was born sleeping and all profits raise money for child loss berevement counsellors. 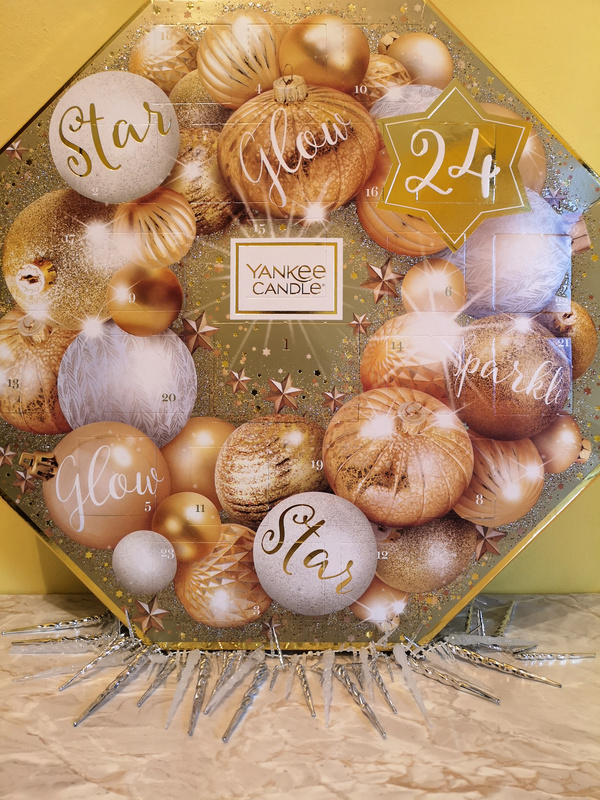 I wish you could smell this Yankee Candle advent calender – it’s divine. The packaging itself is incredibly pretty and there are 8 different scented tea lights and a votive candle holder to collect. Our house is going to smell soooo Christmasy! 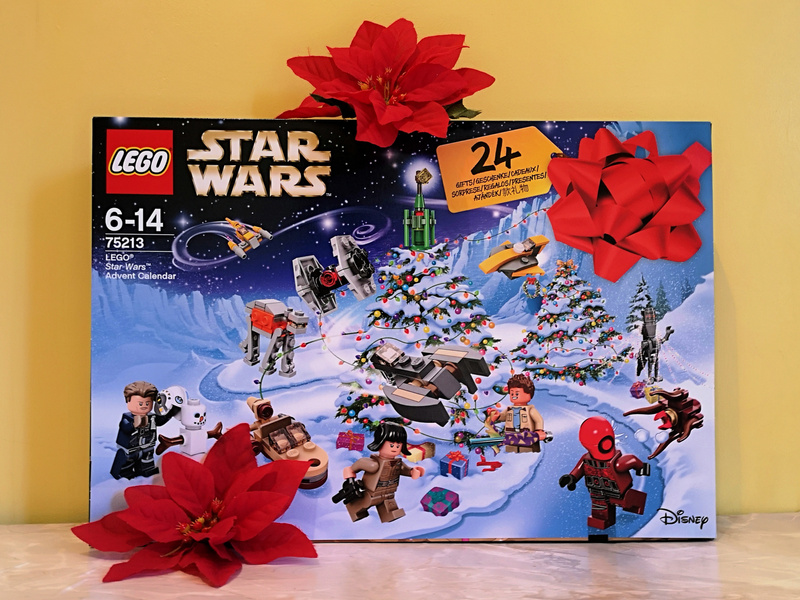 We have gone from zero to one hundred with J’s lego obsession this year and him and Daddy have been bonding over Star Wars too so I can’t wait to see his face when he gets this Lego Star Wars advent calendar on December 1st! Each day features a new character or machine for lots of imaginative fun. 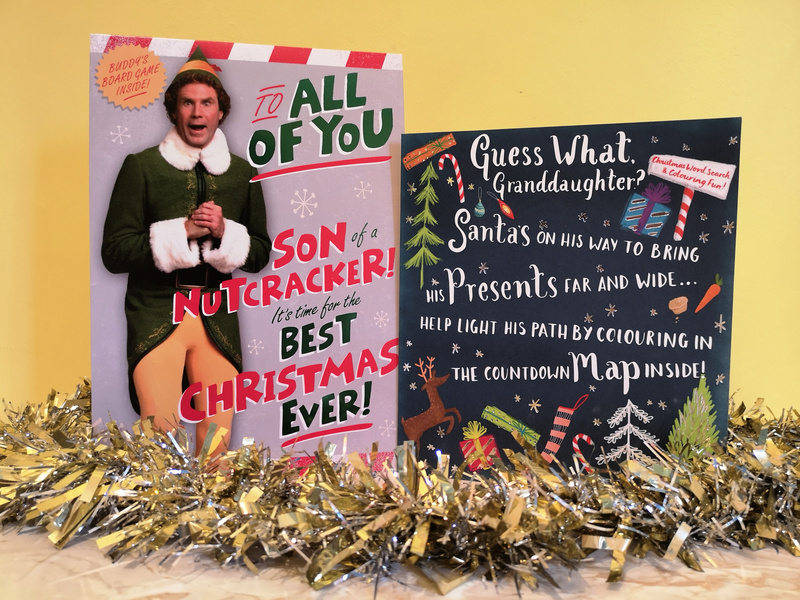 If you are looking for something cheap and cheerful, these countdown to Christmas cards from Hallmark are a fun gift. One includes an Elf themed board game (a favourite festive movie in our house!) while the other has a fun colouring countdown to keep them busy. 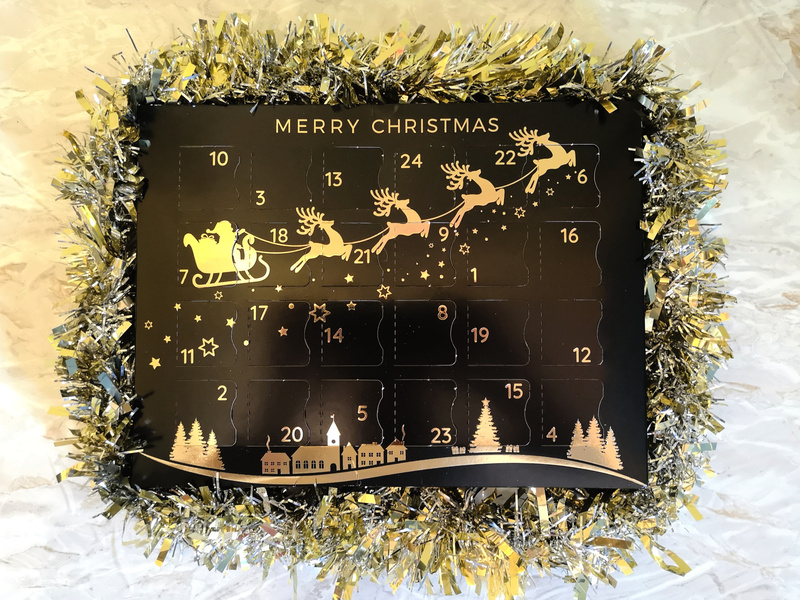 Disclosure: We were sent all of these advent calendars (apart from the Random acts of kindness and Lego) for inclusion in the gift guide but all words and opinions are my own. This post also contains affiliate links. 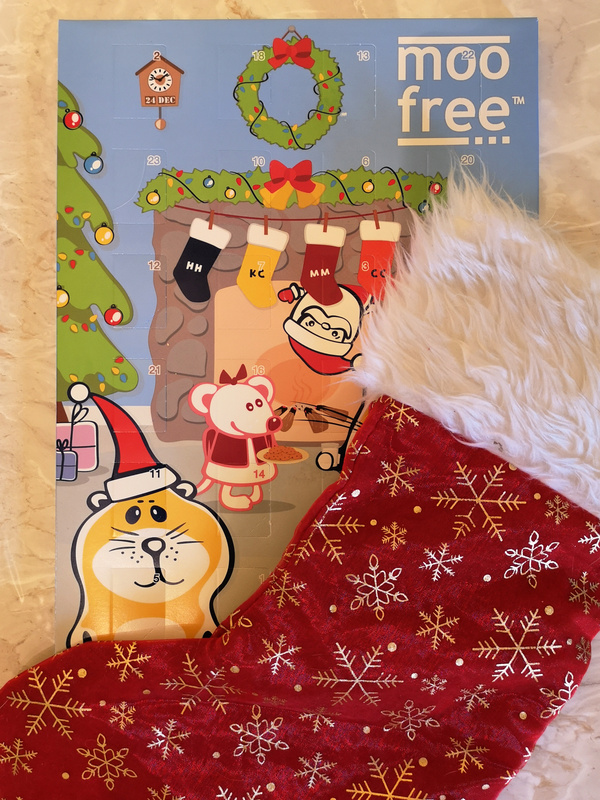 We’re spreading the Christmas cheer with some giveaways for each of our gift guides. You can win not one, but two Plamil advent calendars (milk and white chocolate) by entering below. Giveaway ends at midnight on 18 November 2018. One winner will be chosen at random. UK residents only. I do love my dairy-free jelly beans,too much. Dairy free Coconut Cake yum!! Having the pigs in blankets with the Christmas dinner. I’ve just found some free from mince pies, as this is my first vegan Christmas, I’m loving them! Lots of lovely fresh produce and dairy free chocolate! Vegan mince pies are my favourite dairy free Christmas treats. First year dairy free but I’m looking forward to trying to achieve a regular Christmas dinner just dairy free. My homemade mince pies are pretty special and ASDA used to do a lovely chocolate cake but I haven’t seen them in ages so think I’m unlikely to find one of those this year! Tried some chocolate slices from Waitrose yesterday and they will be on my Xmas hit list. 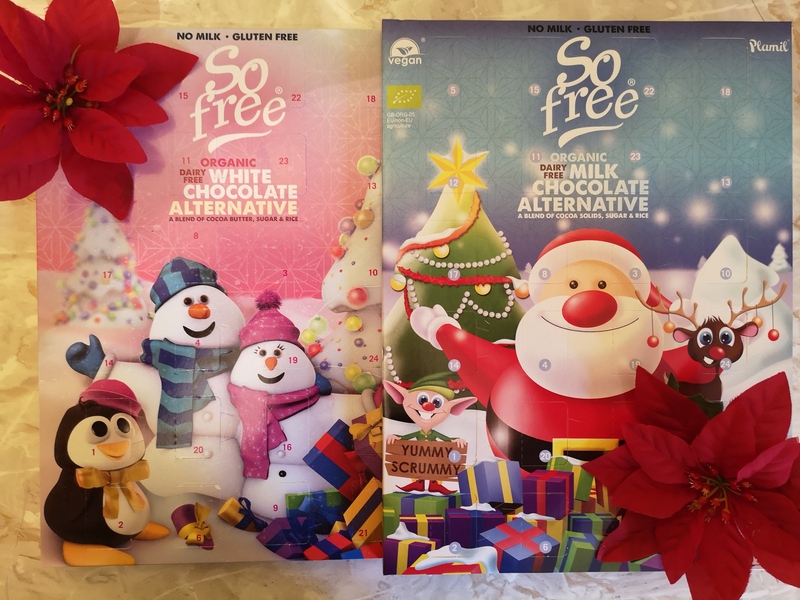 I love Moo Free chocolate and treat myseld to their Moo Free Chocolate Santas and Snowmen! I don’t think I’ve ever tried any dairy free products so would be great to try this prize. I used to love Jelly Bellies. It’s such a shame that they aren’t vegan. BOOO. At least there’s loads of vegan friendly chocolate. I am that person who can eat a plate of sprouts!! I discovered Booja Booja truffles when I first became a vegan and treat myself to a box on special occasions such as Christmas. The Moo Free Bunnycomb Bar is a dairy free treat that both my son and i love. Mine is dark chocolate with either mint or orange. Dairy free Smoked Salmon or Mackerel Pate – ohhh to nice! some really great options. My daughter has CMPA so i cant eat chocolate (breastfeeding) – Thanks for linking up to the Christmas Gift Guide linky! Mine is the vegan chocolate cake that I bake. My fave is the So Free Milk Choc advent calendar as it has meant me being able to join in the family tradition of opening the doors together. Alamond Bailey’s is delicious. In fact I’d say It’s probably time get tucked in. 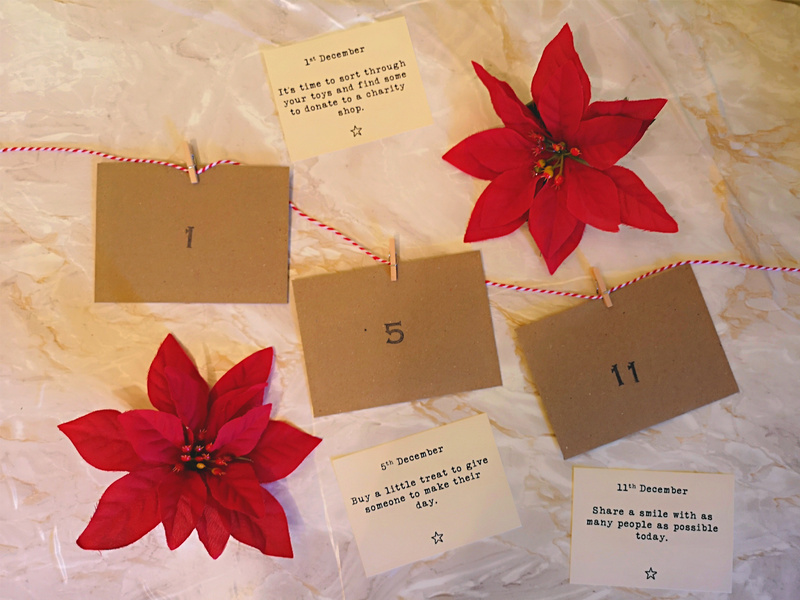 I love the idea of a random acts of kindness calendar ! We have lots of roast parsnip, yum! Moo Free is always a good one! I gorgeous fruit smoothie with frozen berries, spinach, greens balance powder (Arbonne, Dairy and Gluten free), Almond milk, Chocolate protein powder (Arbonne again, dairy and gluten free),chia seeds and cacao powder! Yummy!!! Love dairy free choc. Tastes so fresh. The dairy/glutenfree pudding I make for Christmas Day. We love Vegan Mince Pies in our house. Dairy and gluten free mince pies. Last year the Tesco Chocolate and Hazelnut Churros were amazing, I’m hoping to see them again this Christmas!